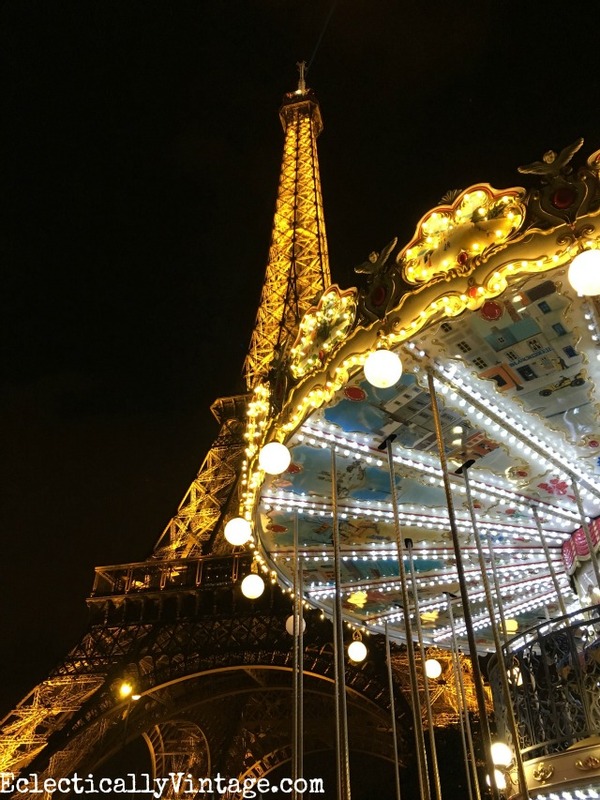 Follow this Paris itinerary for the ultimate vacation to the city of lights! 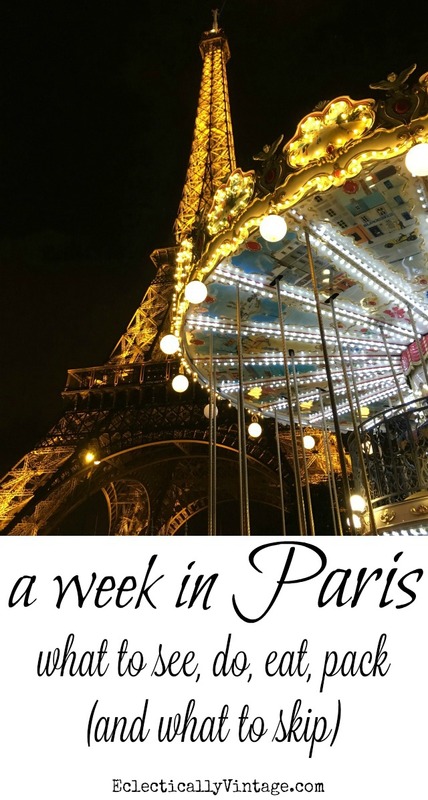 Paris Itinerary 6 Days for the vacation of a lifetime. Paris is everything they say and then some times a million! I can’t believe it took me this long to get to the city of lights. 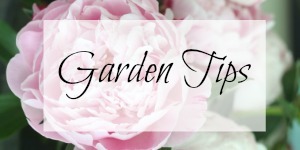 Make sure to check out the end of my post for my can’t do without travel items. My hubby and I spent a week there celebrating our 20 year anniversary. A first time trip to another country can be daunting but since I love researching before I arrive, I’m sharing my tips and favorite places. 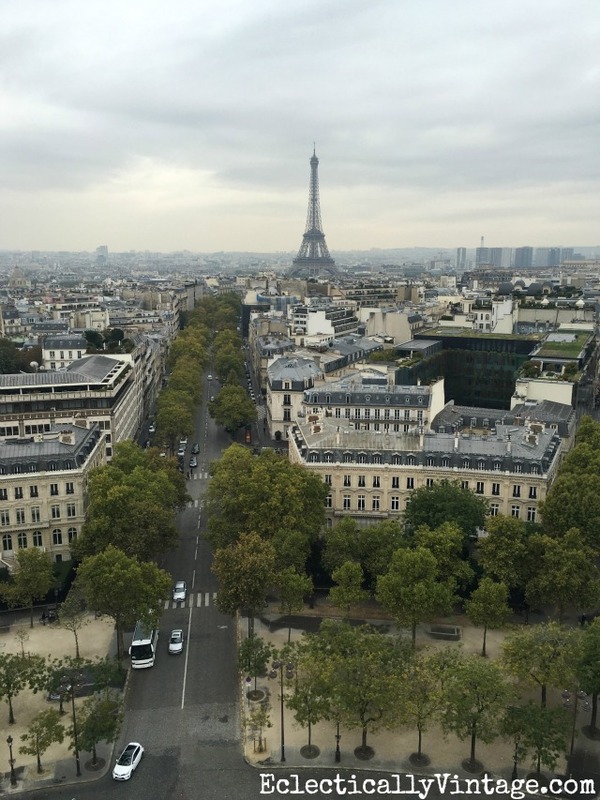 Paris is made up of 20 arrondissements – or neighborhoods – each with it’s own personality. It’s a compact city that is made for walking or you can hop in a cab to get to outer lying areas (or take the Metro). 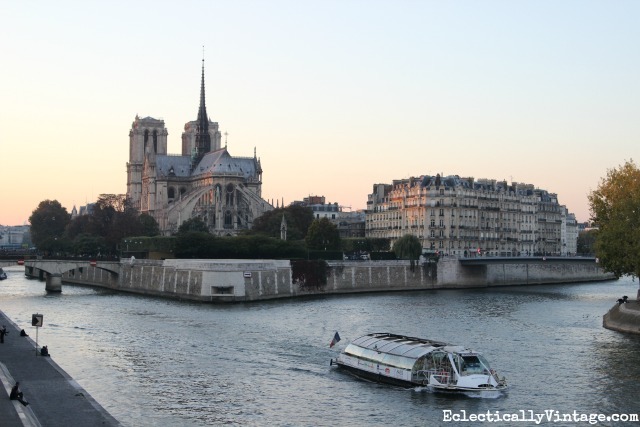 Notre Dame, in the fourth arrondissement, is considered to be the center of Paris. 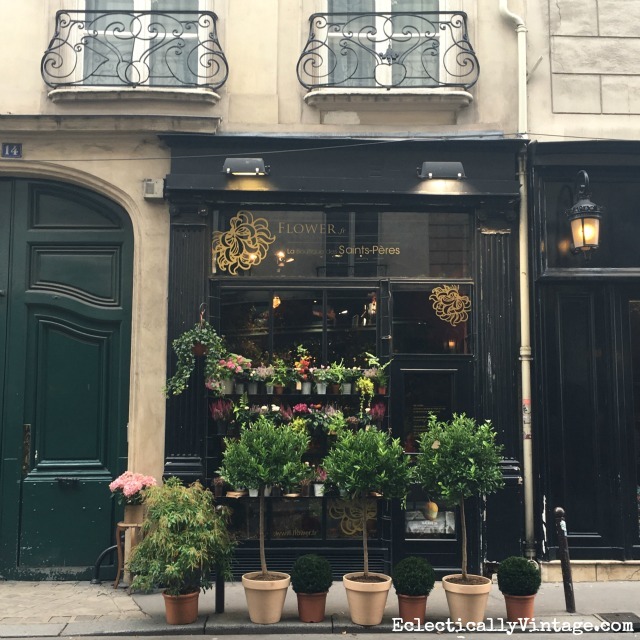 I chose to stay in the sixth arrondissement – St. Germain – due to it’s central location, great restaurants and beautiful architecture. Flights – I like booking airfare through this site for the best price. You can even book a flight/hotel combo. Hotels – there are tons of hotels so do your research (I like reading reviews on Tripadvisor). Paris hotels are small so pack light (my hubby and I each took one carry on suitcase and one small bag). Don’t be frightened but Paris is notorious for pickpockets (we saw a group of young pickpockets stealing from a large group of tourists until the police took them down – literally). This is my favorite travel purse – it’s a roomy (big enough to fit my camera), cross body bag that is slash proof and has lots of pockets and zippered compartments to hold my camera and all of my necessities. Bring your camera – here’s my favorite travel lens. I also used my iPhone to take lots of pics – especially at night when I didn’t have a tri-pod. See more of my must have travel necessities at the end of the post. Day 1 – Consider buying a Museum Pass at the airport. It pays for itself with the fact that you won’t have to wait in long lines. Jetlag! You’ll most likely arrive early in the morning. Walk around outside (we arrived on Sunday so we walked around the Bastille food market) to reset your internal clock or take a cruise on the Seine. Relax in your hotel then hit a brasserie for a casual French dinner. We were lucky to arrive for the mid-October weekend of the annual Montmartre Grape Harvest Festival. Held in the shadow of the Sacre Coeur church in the Montmartre district, it’s a fun weekend of wine, food and people watching at it’s best. 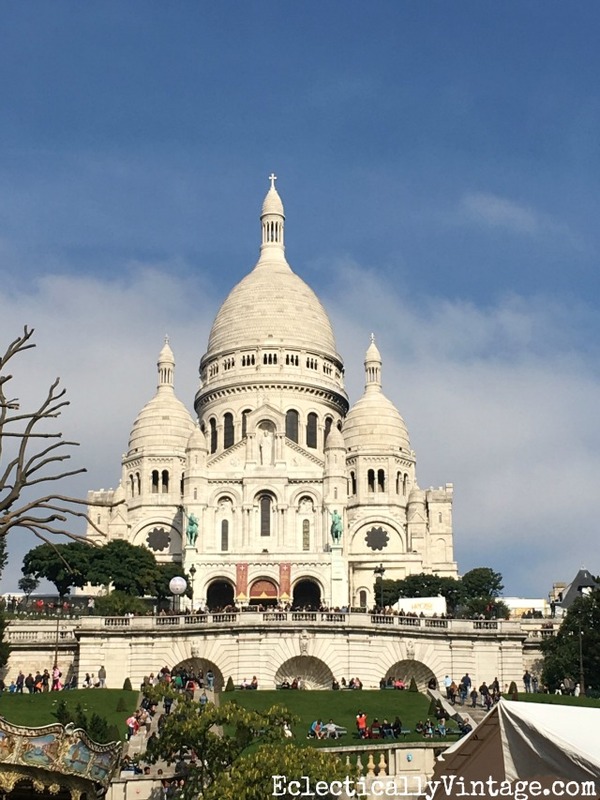 Even if you don’t make it for the festival, it’s a great area to wander around and of course take a peek inside the Sacre Coeur and the views of Paris from the hilltop perch. 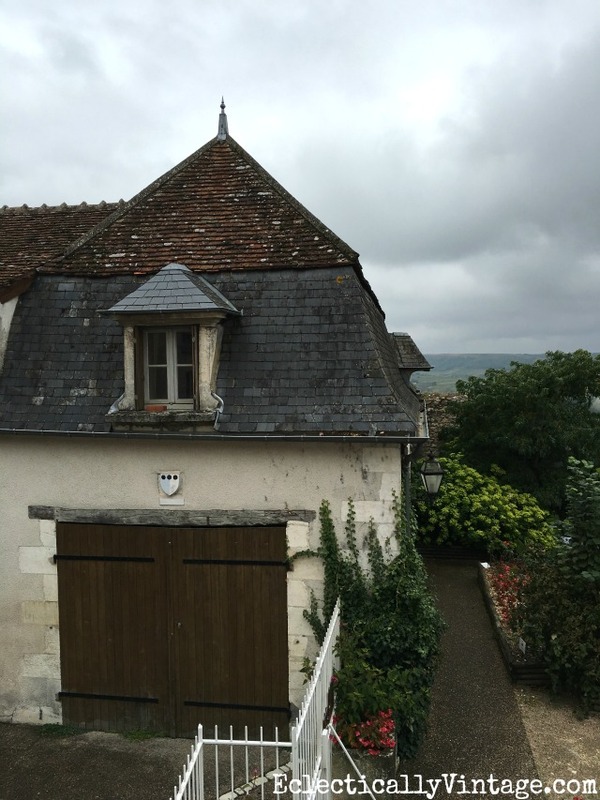 Day 2 – Walking Tour – acclimate yourself to the city the day after you arrive. There are tons of great walking tours – some for free (just make sure to tip). I chose a free 3.5 hour Wego Walking Tour that began at Notre Dame and ended at the Eiffel Tower. Paul, the owner and guide, is full of energy and enthusiasm! You won’t go into any sites, but you will get a lay of the land. 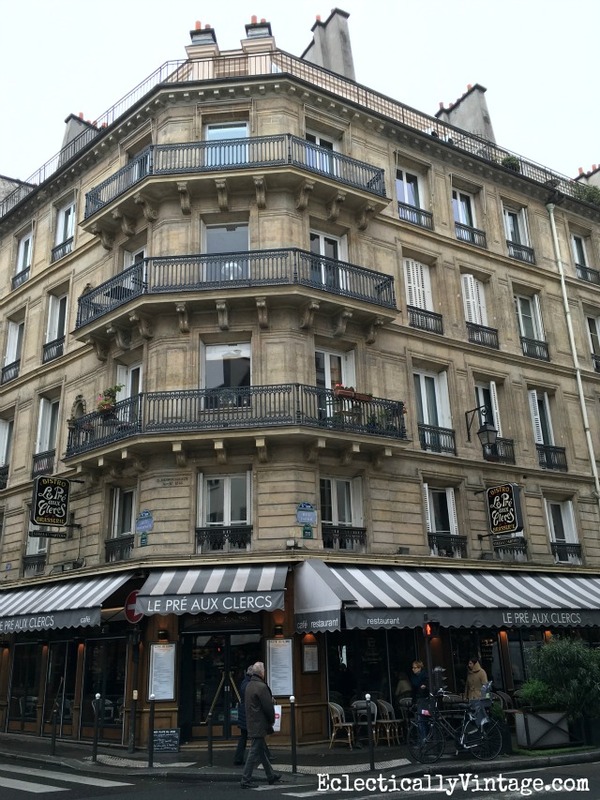 Lunch – Cafe Constant – near the Eiffel Tower – one of my favorite meals in Paris. Head back to the Eiffel Tower if you want to go inside. I did not go into the tower because the line was ridiculous. Instead, I went back at night when every hour, on the hour, the tower is lit up with a stunning light show. If you have your heart set on going inside, remember that this is not on the Museum Pass but if you plan ahead, you can buy tickets online months in advance. They sell out quickly. If no luck online, you can wait in line. Day 3 – Versailles – Use your Museum Pass for entry (sorry – no skipping the long lines at this attraction). Hop on a half hour train ride and get there early – right when it opens (stay away on Tuesdays and Sundays when it’s extra packed). Otherwise the line will be ridiculously long and you’ll curse me for advising you to go. 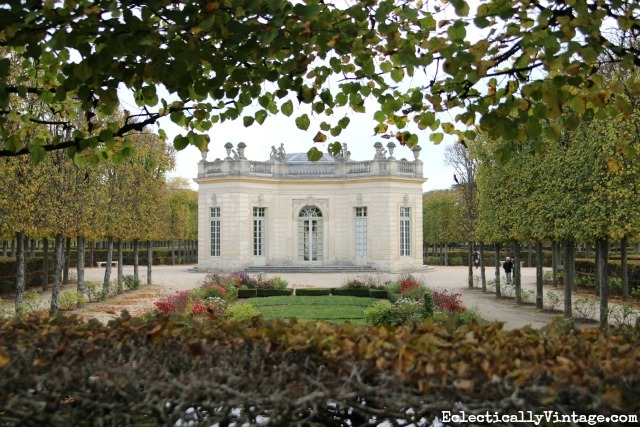 The gardens are incredible and just past them you can tour the much less crowded Marie Antoinette’s hamlet so be sure to walk around and explore. Lunch in Versailles – Angelina’s – near Marie Antoinette’s estate – amazing hot chocolate, pastries and yummy sandwiches. Would I go back to Versailles? Probably not but it is one of those must see attractions so decide if it’s a must for you. Shop – BHV in the Marais district is a huge department store and a fun place to shop. Steps away is La Maison du Savon where you’ll feel like a kid in a candy shop among all the vibrantly hued soaps (these make the best gifts – I brought lots home for my girls and me). 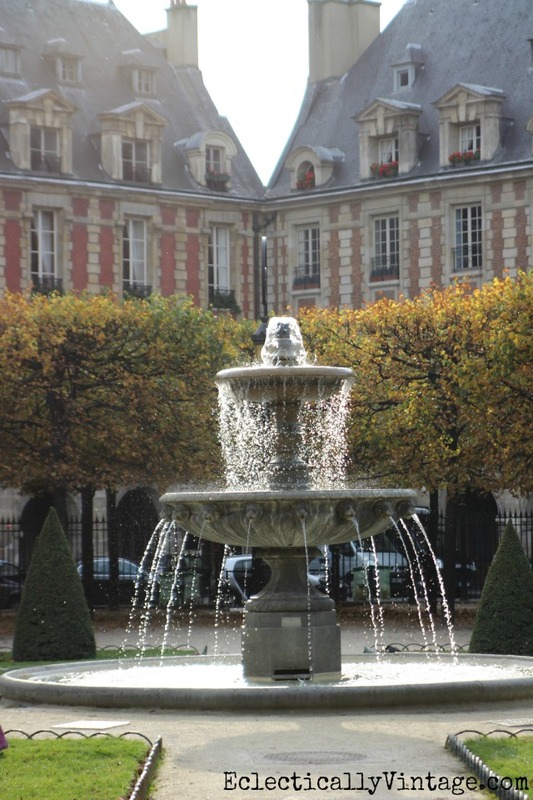 Head to the Place des Vosges, the oldest planned square in Paris, to recharge. 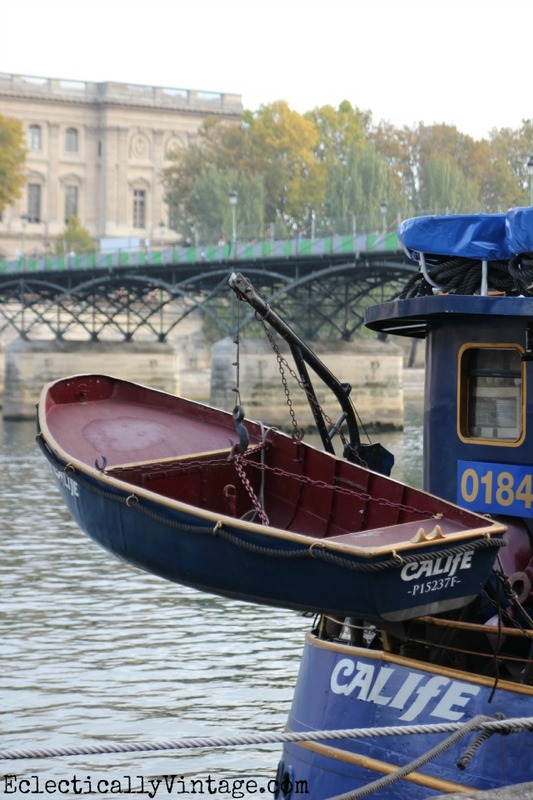 Head to The Center Pompidou (on the museum pass) to take in some modern art. Fortify yourself by heading to the rooftop restaurant for a cocktail and an incredible view of the city! Dinner – There are lots of great little restaurants around the fountain right outside the Pompidou. Day 4 – Wander! Paris is perfect for aimless meandering. Now that you have the lay of the land, start walking. You can walk to the Arch de Triumph (on the Museum pass), there’s an underground tunnel that leads you there and you can walk up to the top where you’ll be rewarded with a 360 degree view of Paris! Lunch – Le Relais de l’Entrecôte – a few blocks from the Champs de Elysee – only serves steak with their secret sauce and french fries. No reservations, maybe a line. Wander some more – stroll to the end of the Champs de Elysee which will lead you to the Tuilleries Gardens and the Louve. Walk over to Notre Dame and explore the church. Stand in line if you wish to go to the top. Snack – Grab an outdoor table at Berthillon (near Notre Dame) for the world’s most amazing ice cream. 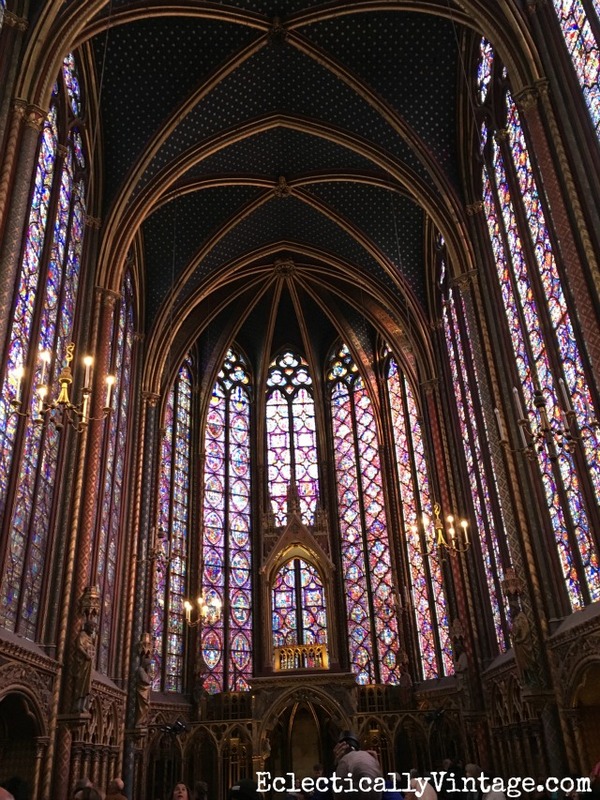 Do not miss Sainte-Chapelle (a short walk from Notre Dame and on the Museum pass) if you want to be absolutely wowed. Try to go when the sun is shining and make sure to head upstairs once inside (I almost didn’t see the spiral staircase in the corner) where you’ll be surrounded by the most stunning stained glass. Dinner – One of my favorite restaurants in Paris was an Italian bistro La Bocca Della Verita in the St. Germain district. Amazing pasta dishes! 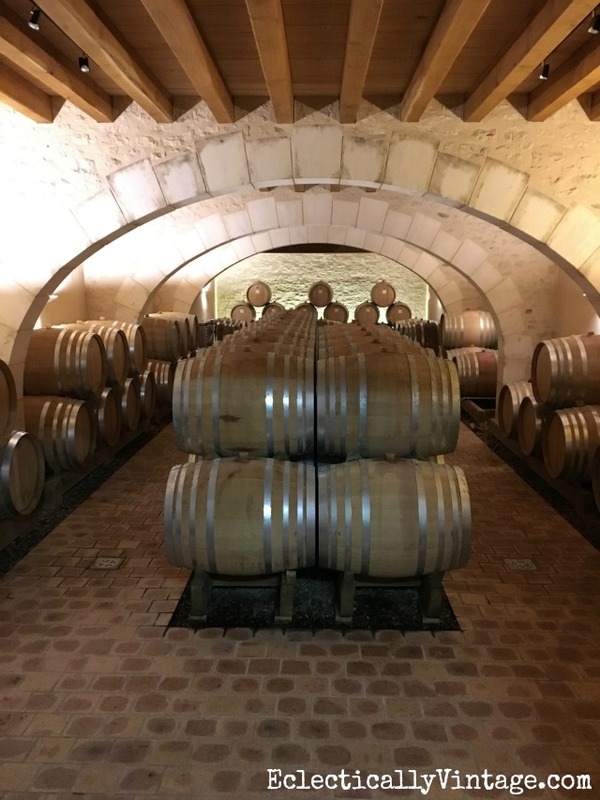 Day 5 – Wine Country Tour – if wine is your thing, Paris Wine Day Tours is a fun, all day tour with a driver that picks you and a small group up in Paris and drops you back off at the end of the day (7am-7pm) just in time for dinner in Paris. We visited a local cheese maker and saw some behind the scenes goings on. and some time to explore. 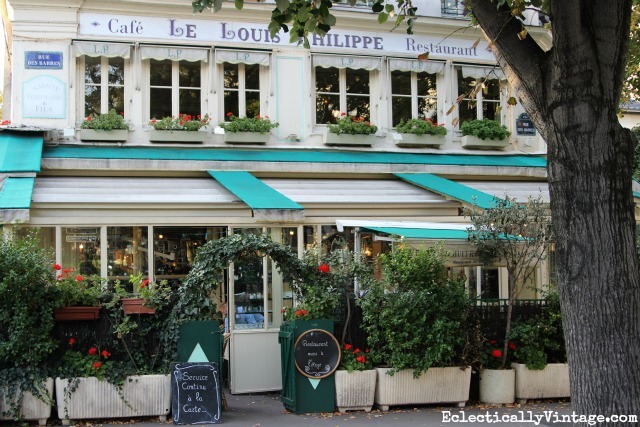 Breakfast – Cafe de Flore – This place is an institution and my favorite place for hot chocolate. 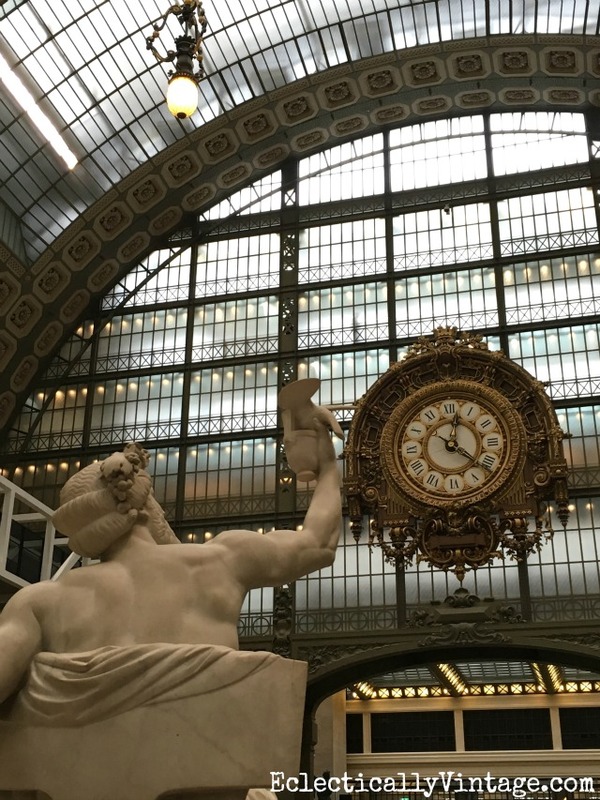 My favorite museum in all of Paris was hands down the Musee d’Orsay (on the Museum pass). Housed in an old railway station, the main attraction is the Impressionist paintings. The museum is as beautiful as the paintings. 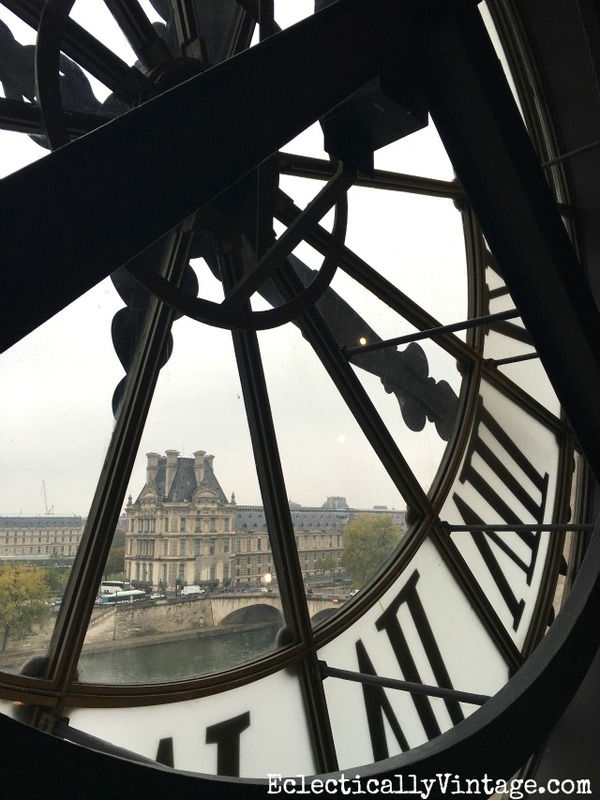 Don’t miss the top floor with the huge glass clock where you can gaze out onto the Seine. Head out across the river to the Orangerie museum (on the Museum pass) where you can see two oval rooms filled with enormous paintings of Monet’s Waterlillies. It’s a sight to behold. 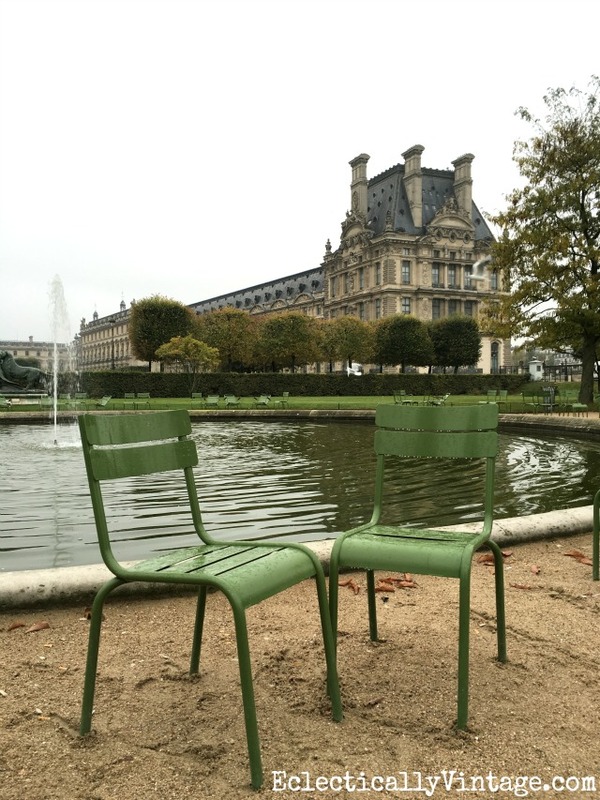 Wander around the Tuileries Garden – grab a galette or a baguette sandwich. Relax by a fountain or a carousel in a green metal chair. Head into the Louve (on the Museum pass). It’s HUGE! Don’t be intimidated. Be prepared with a few key things you want to see. The Mona Lisa resides here (with dozens of people armed with selfie sticks, standing with their backs to her). I didn’t stay long! 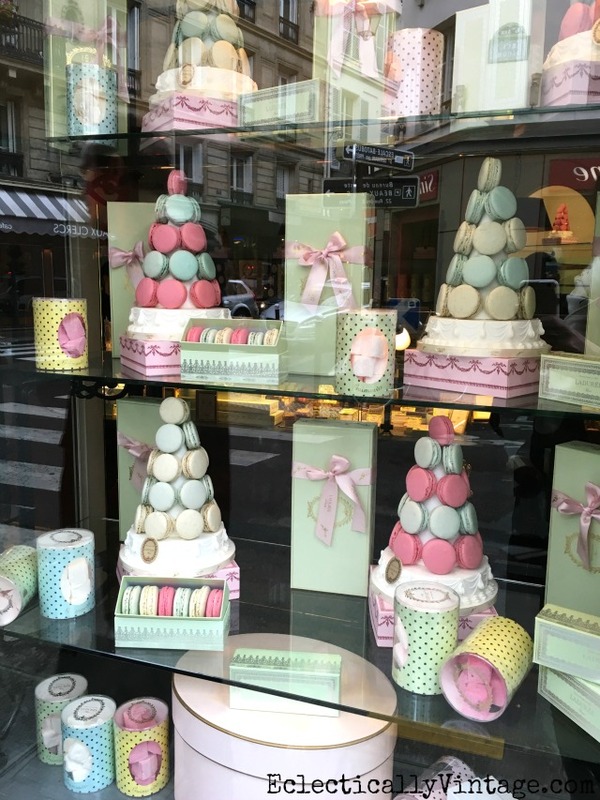 Eat – prepare to feel like you’ve died and gone to heaven when you taste Laduree macaroons then wander through St Germain and sample chocolates from the many chocolate shops scattered throughout the area and admire the shops and architecture. Last Night – close out your week in Paris with a bang. I surprised my hubby with a Paris by Night tour through Paris Authentic. The driver picked us up at our hotel in a cute little vintage 2CV car. I grabbed a bottle of wine and a couple of glasses from our hotel and off we went. The top of the car rolls down for an open air experience. 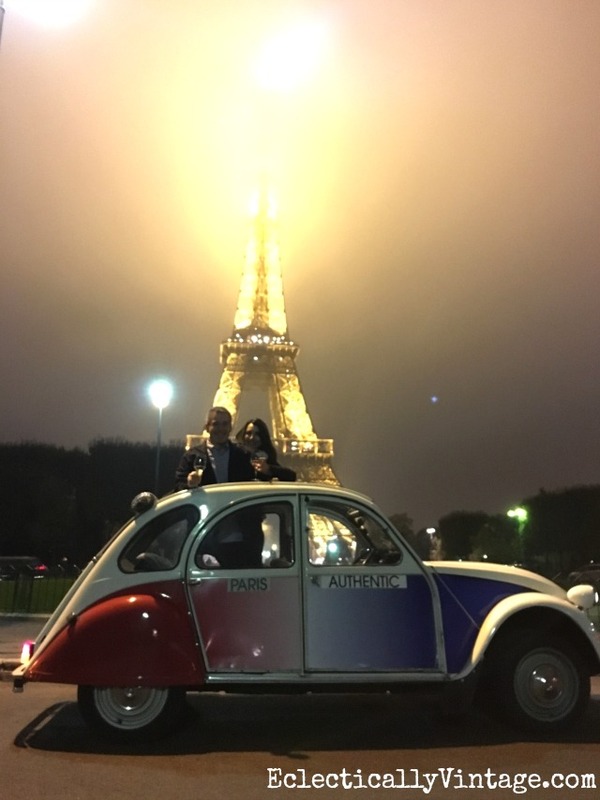 Our French driver whisked us around all the major sights while sharing fun facts. It was drizzling that night but that did not dampen our fun! 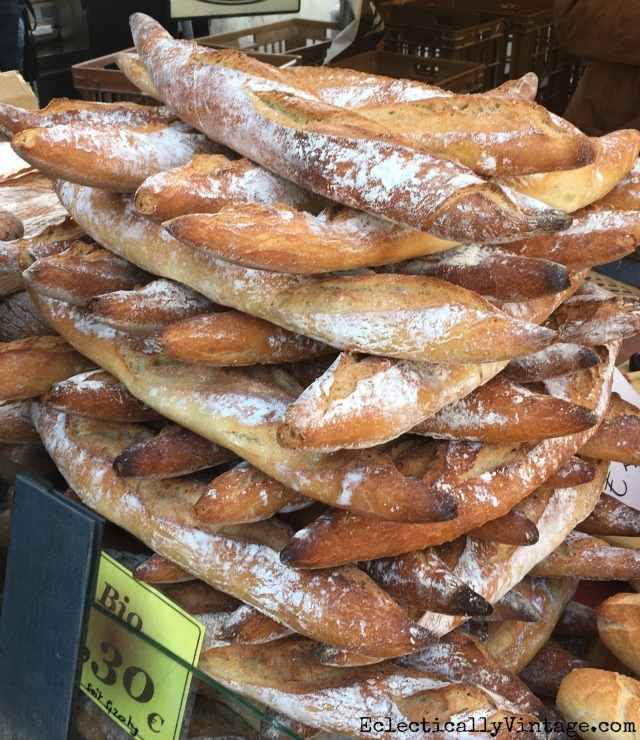 Food Markets – we walked to the one in the Bastille. A lively market selling everything from crepes to cheeses and meats to rotisserie chickens to flowers and more. We bought two amazing ham and cheese galettes (savory versions of crepes), sat down near a fountain and enjoyed people watching. Flea Markets – there are many (large and small) usually spanning the weekend so do your research and choose one that interests you. Parks – grab a picnic lunch and head to one of the many parks for people watching. There was a lot I missed but that gives me an excuse to go back again. I think it’s important to spend time wandering and exploring and really getting to know the city and the different neighborhoods. 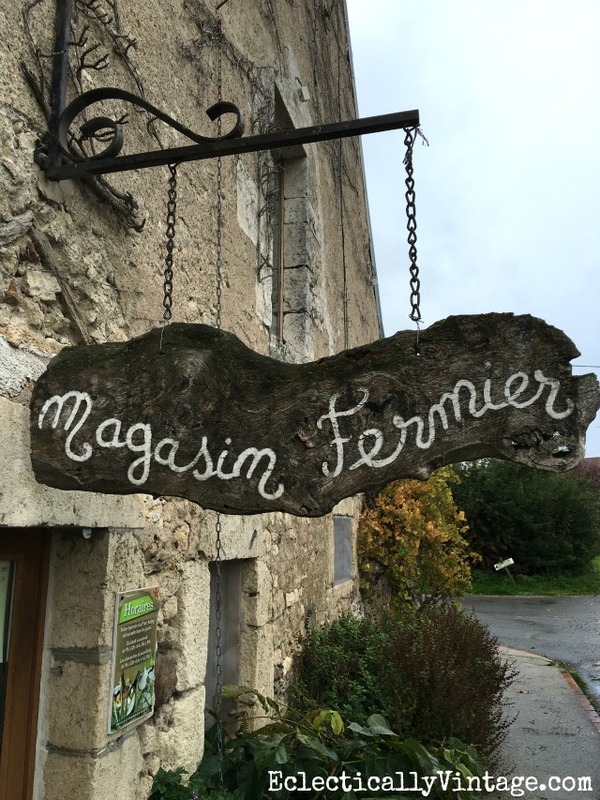 Mix in a museum or two and a tour here and there and top it off with baguettes, crepes and hot chocolate and it’s a recipe for an amazing vacation. Bonjour – until we meet again Paris! 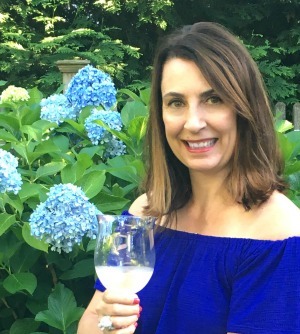 My Travel Must Haves – Shop til You Drop! looks like it was an amazing trip. so glad that you and your hubby got to experience the city of love for your anniversary. congrats on 20 years! Thanks Laura – it was magical! it looks AMAZING! and so do you, by the way! Thanks Cassie – maybe we should plan a girls flea market trip there soon! Fantastic!! You make me want to go!!!! I hope you get there – it’s truly an amazing city! 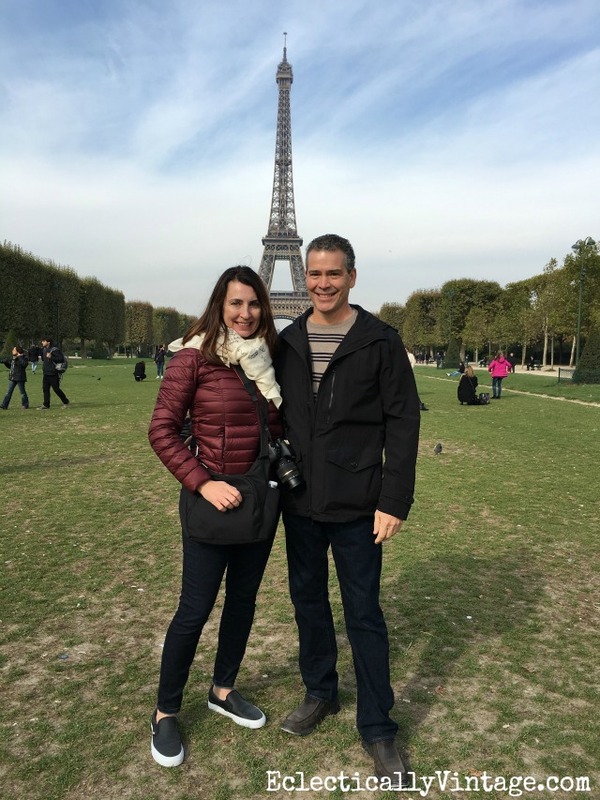 So happy to hear you had a great time in the ‘City of Lights.’ Thanks for the travel tips, my husband and I are heading to Paris for New Year’s Eve and my 50th birthday. I am so excited, I can’t wait!!! WOW! What a way to ring in the big 50 and New Year! Have fun!!! So beautiful Kelly, I’ll never get to Paris but these pictures took me there, THANKS! Thanks so much Cindy – it was such a memorable anniversary! So happy for you,looks like you had fun. Nice looking couple in that picture. I want to go there some day soon. It was really fun – such an amazing adventure and I hope you get there soon too! Can’t wait to hear about your Paris adventure too! Oh Kelly—I’m so happy you went to Paris!! EVERYONE should go, and sooner rather than later. When you go back, save a day to take the train past Versaille another 30 minutes south to Chartres. It’s a small city too stunning for words. The mothership of Gothic cathedrals is located there, and it’s the home of the most recognizable labyrinth (walk it on Friday when it’s open to the public). Back in Paris, the shops on the Ille de la Cite are fabulous. you can walk for hours, or hope a bus, or sit in a cafe, or ride the Metro….ahhh…Paris…city of endless dreams…so beautiful! That sounds amazing Deborah! Next time – hopefully very soon! Great trip and wonderful pictures. We loved Paris when we were there &, of course, would love to go back. It’s definitely a place to go back to – a lot! 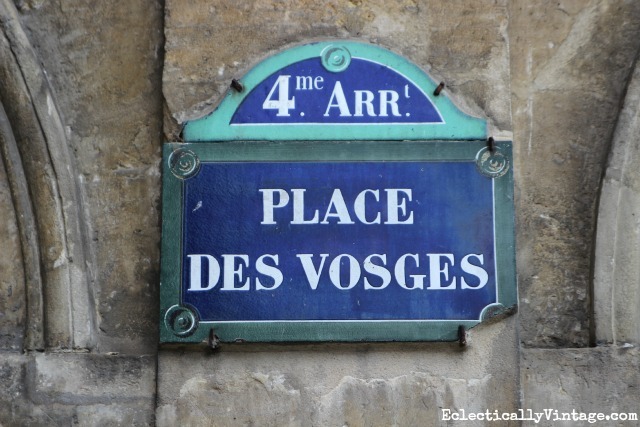 Thanks for all the wonderful tips for travelling to the city of lights! Congratulations on your 20 year anniversary! You two are a beautiful couple. We’ll be celebrating 30 years of marriage next year and hope we’ll be able to travel someplace special for our anniversary. I’d love to see Paris. Did you bring back something great for your home decor? Thanks so much Sandy! 30 years! Yes, you must go – and I didn’t bring back any home decor – I didn’t want to torture my hubby with house shopping! Glad you had a blast, never been there too, and I’m savoring all your tips! Oh Vel you must go! I can’t believe I waited this long! the Musee d’Orsay too. I loved, loved Paris and would go back in a heartbeat. treasures. We took an extra carry-on suitcase for items to bring home. Unfortunately, I didn’t go to the fleas – there’s always next time! Glad you got to bring home some Parisian finds! My husband and I are in the beginning stages of planning a trip to Paris. This came at the best time! Thank you, thank you, a million thanks! I feel like I talked to a travel agent! Happy belated anniversary to you and your husband! Thanks so much Judy! You’ll love Paris! That’s my favorite travel purse, too! We’re going to Paris next week and your post was a big help. Thanks! So glad Yvonne – enjoy Paris! A friend of mine is in Paris as I write this! I’m so jealous and very, very thankful that you posted your adventure. It has always been a dream of mine to fly off to Paris, and I will someday with my hubby and two kids. Right now isn’t a good time for us. However, I will probably take most of your tips and plan our adventure within the next few years. I’m not a wine person, so that is not going to be where we go. I’m glad you got to go though. Even though we don’t know each other, I’m happy for YOU. My hubby and I just returned from Paris. The walking and exploring was the best part!!! I was there a week and cannot wait to go back again! One thing I did learn is that I will not overpaid again. Black leggings and a black sweater are a must with tennis shoes and a scarf is definitely needed!! And don’t forget a tote to put anything you might buy in! Ohhhhhh….I am ready to go back now!!! Agree Melanie – I took one carry on for the week in the fall and it worked out perfectly! I am all about traveling light. 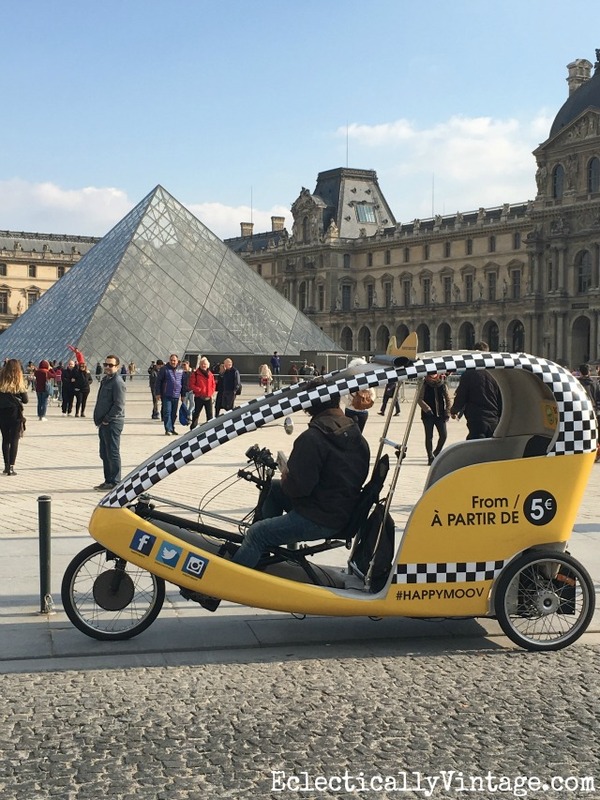 Glad you enjoyed Paris – it’s an amazing city! the last week of April and will be staying at the Esprit St. Germain, so I hope it’s as great a location as it sounds. Can you give us an idea of what to expect to spend per day, on average, for meals? We will have an American breakfast at our hotel. We were in Norway last summer and on average dinner was $30-$40 p.p. Would that be about the same in Paris? Paris has tons of places to eat – from street carts that serve amazing sandwiches to little bakeries to amazing little restaurants. I can’t give you an exact amount but I’m sure you can find tons of places that fit your budget. You can always search the menus online to give you an idea of prices before you go. Hope that helps ad enjoy Paris – it’s amazing! Great post! Going to Paris in October. What was the price of the Paris Authenic ride? I don’t remember – just go to their site and they should have all the info. Have fun! !